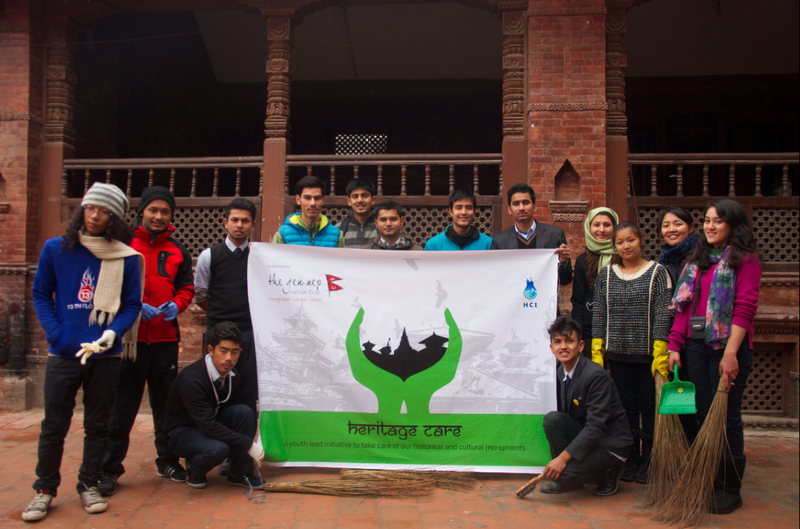 The project Heritage Care started with a temple clean-up program. Tundaldevi Mandir at Chandol, Kathmandu is cleaned-up by The Gen Nep- Nation First volunteers along with active participation of schools’ students and locals of Chandol area. The clean-up program was successfully carried out inthree phases on three consecutive weeks. The first phase could plough the seed of awareness and inspire the locals of Chandol area. As a result, in the second phase, The Gen Nep volunteers were joined by the students of a local school and community policemen in cleaning the temple premises. Likewise, many local residents also participated in cleaning the temple in the third phase. The Tundaldevi clean-up has been concluded after cleaning the temple premises and getting assurance and commitment from the locals to care for the heritage site of their surroundings. The Heritage Care team will continuously monitor the site and take necessary actions. Heritage Care is a project designed to protect and preserve our historical monuments.